“A calm and humble life will bring more happiness than the pursuit of success and the constant restlessness that comes with it,” read one of the two notes that Albert Einstein wrote in place of a tip for a courier, when he didn’t have any money. It was 1922, and the Nobel Prize winner and German-born physicist was in Tokyo on a lecture tour, just after hearing that he’d won the prize. The second note read, “Where there’s a will, there’s a way.” It sold for $240,000 at Winner’s auction in Jerusalem, while the first note sold for $1.56 million. Back in 1922, Einstein told the courier that if he was lucky, the small handwritten notes would eventually become valuable. According to the BBC, the seller of the notes is reported to be a nephew of the courier, while one of the buyers wished to remain anonymous. The opening bids for the notes were only set at $5,000, and auctioneers were surprised by the final selling prices. Previous letters or notes written by Einstein had sold recently for $210,000, total, with the most expensive of the set to Einstein’s former Princeton colleague, physicist David Bohm. That sold for $80,000. “The ideals that have lighted my way, and time after time have given me new courage to face life cheerfully, have been Kindness, Beauty, and Truth…. The trite objects of human efforts — possessions, outward success, luxury — have always seemed to me contemptible, he also said. 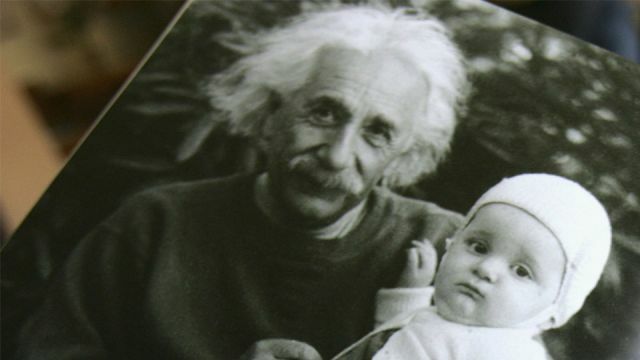 Despite his own intellectual success, Einstein was a fan of humbleness and appreciating life beyond knowledge. “There are only two ways to live your life. One is as though nothing is a miracle. The other is as though everything is a miracle,” he said. “If you can’t explain it to a six-year-old, you don’t understand it yourself,” he argued. He was also not a fan of conformity, and insisted on wearing his hair and dressing how he wanted to. “Once you can accept the universe as matter expanding into nothing that is something, wearing stripes with plaid comes easy,” he said. Hey Buddy!, I found this information for you: "Einstein’s Tips For Happiness Sell For .5 Million". Here is the website link: https://www.thealternativedaily.com/einsteins-tips-for-happiness-sell-for-1-5-million/. Thank you.